It’s personal! Often people think that because we work with large businesses and organizations that we do not do personal projects, and that is false. This Hummer truck is a great example of some of the personal one off projects we do here at Wrap It Up. With this project we wrapped this Hummer in a seamless camouflage print with a matte overlay. 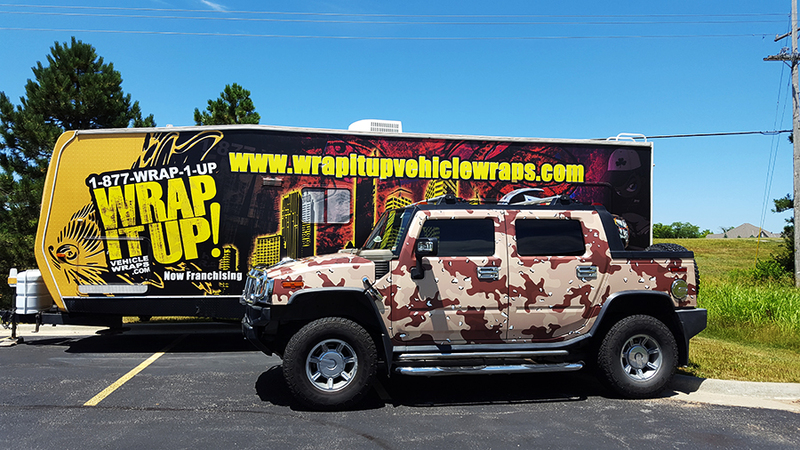 So Kansas City stop by and let us wrap you up! We recommenced that you replace your vehicle wrap every six years especially if you have a wide array of extreme whether condition similar to Kansas City. 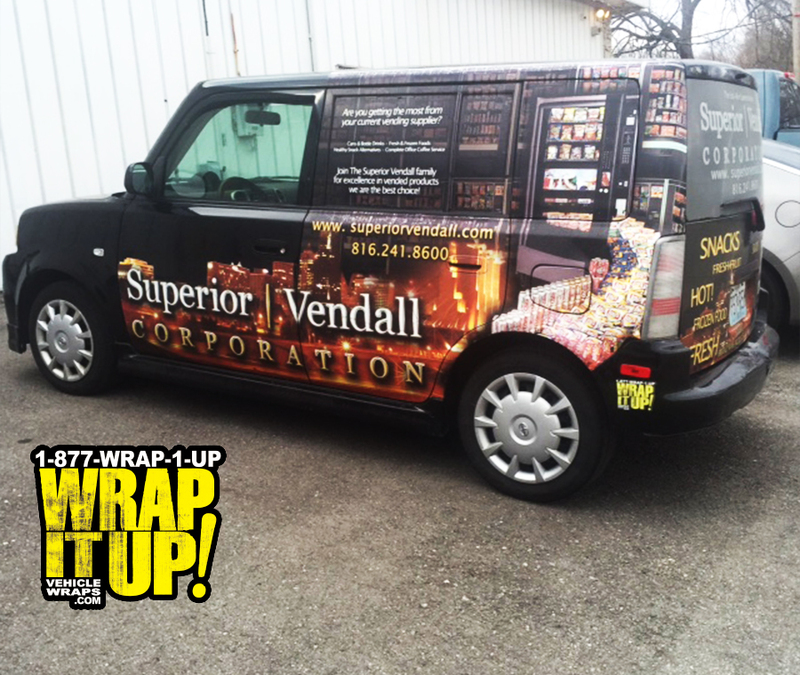 This is a photograph of a 10 year old SUV wrap for Superior Vendall that is driven daily. When you get up close you will notice a few blemishes, but the most important part is the vehicle wrap is still advertising clearly and bringing awareness to the company. This is how Capstone Tax & Accounting rolls. Be looking out for this unique SUV wrap around Kansas city. Make sure you visit Capstone they are committed to helping you take your business to the next level. Thanks Capstone! 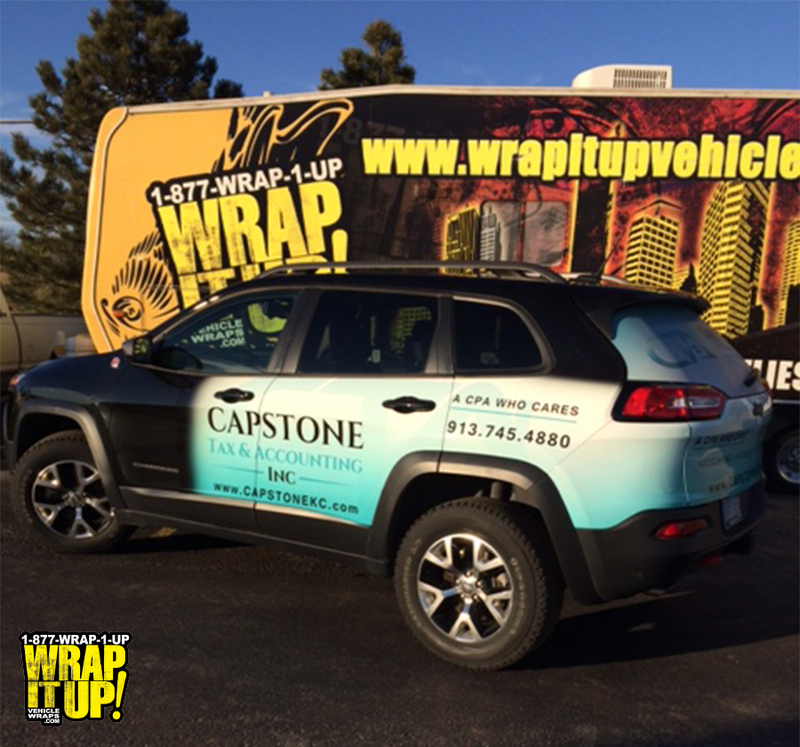 Here is a sleek new wrap created for Pita Blu located in Overland Park Kansas. 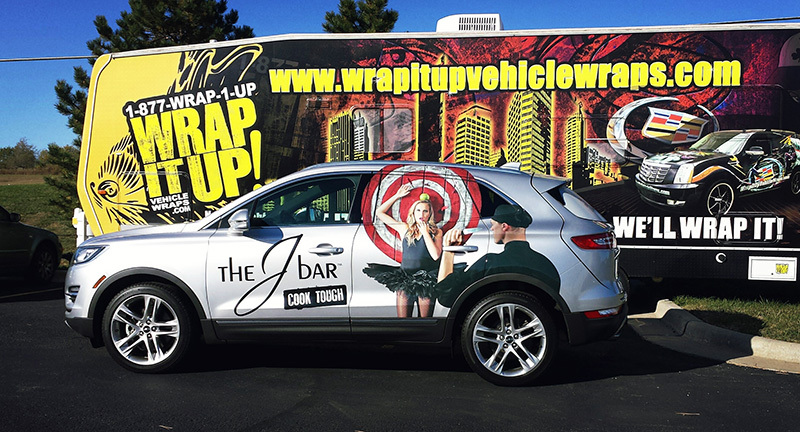 We love to do SUV wraps and this one was no exception it turned out amazing. Thanks Pita Blu!